If you think you and your new beau can’t be friendly with your ex, think again. People reports that Avril Lavigne and boyfriend Brody Jenner recently partied with Lavigne’s ex-husband, Deryck Whibley of Sum 41. Even with her ex nearby, the pop star and her reality-TV boyfriend couldn’t keep their hands off of each other at the Hollywood club. 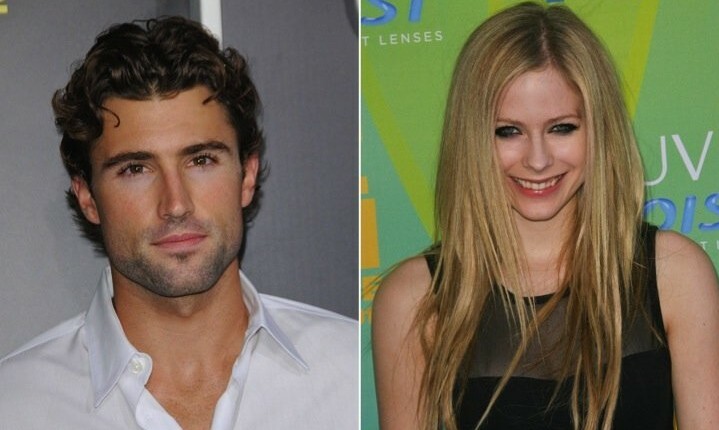 Reports say that Lavigne, 26, and Jenner, 27, were kissing and snuggling up to each other all night after Whibley, 30, spent some time chatting with them at their table. The PDA-friendly twosome have been together since the spring. Here’s hoping that the couple that parties together (with an ex), stays together! How friendly should you be with your partner’s ex? 1. Watch and learn: Use your sweetie’s relationship with his or her ex as a guide to show you how friendly to be. It won’t do any good to become best friends with the person your partner swore to never talk to again. 2. Don’t get discouraged: Befriending your mate’s former flame provides a great opportunity to commiserate about your partner’s bad habits and stupid jokes. But don’t let the ex poison your mind when they talk about your partner’s role in the failure of their relationship. Every relationship is different, and history doesn’t always have to repeat itself. 3. Keep a safe distance: An ex may befriend you or your partner because they still have some leftover feelings for your beau. Make sure to keep them at arm’s length, and learn their true intentions before being too welcoming.